Haven’t they seen the news? Don’t they read the papers? Don’t they know Detroit’s a warzone? Dangerous? Hopeless? Several friends of mine expressed concern that I was planning to drive by myself from Pittsburgh, PA, to the Motor City. The guy at the rental car counter (a total stranger) expressed concern at my plan as well. And for a brief moment, I began to have second thoughts as well. Rest assured, I arrived safely from Pittsburgh, in one piece, unscathed. And do you know what I have found in Detroit? Jesus. Beauty. Homelessness. Art. Struggle. The Church. Redemption. Hope. The Presbytery of Detroit, our hosts for the meeting, chose this for the week’s theme: “Abounding in Hope” from Romans 15:13, “Oh! May the God of green hope fill you up with joy, fill you up with peace, so that your believing lives, filled with the life-giving energy of the Holy Spirit, will brim over with hope” (The Message). I have found an unfolding story of redemption in Detroit. I have found people in ministry who have not given up on their city and churches who are not willing to give up on their communities. I have found a denomination that is willing to be a part of this story by meeting within its bounds and bringing with us an influx of cash and business. My beloved hometown of Pittsburgh has a similar story of redemption: a resurgence of life in its streets, commerce on its corners, hope in its homes. I feel a kinship with Detroit. Their story is my story. And it is OUR story. Our story, as Christians from Pennsylvania – Philadelphia and Pittsburgh, Washington and Warren, Allentown and Altoona – and Michigan – Detroit and Deborn, and all over the world, is a story of redemption, of a God who left the throne in heaven and came down to be one of us in the flesh, and through Christ, rejoices in what gives us joy and mourns that which breaks our heart. And I believe God’s heart is broken for Detroit. 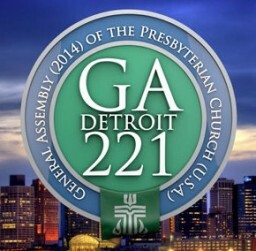 But from what I’ve seen, the good folks of Detroit are doing their best to put the pieces of Detroit and God’s heart back together again through the power of the Holy Spirit. As a Presbyterian, I am glad to be a part of this story. Written by the Rev. 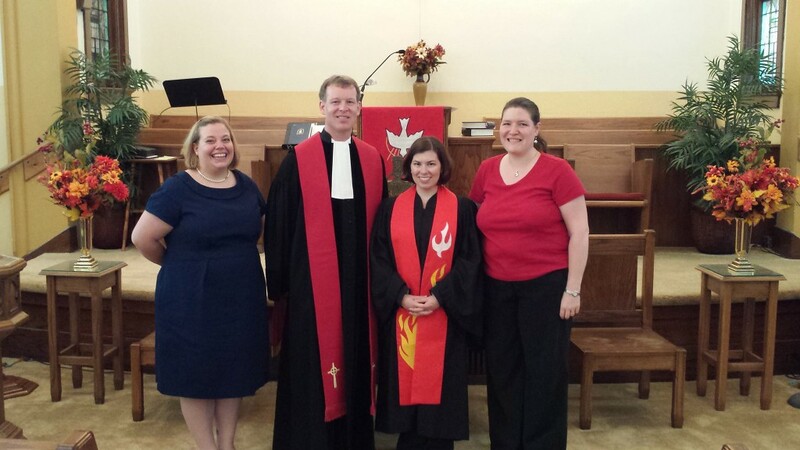 Allison Bauer ’05, pastor of Frankfort PC near Pittsburgh, PA. She is an alumna of the MDiv program and serves as the moderator of Beaver-Butler Presbytery.